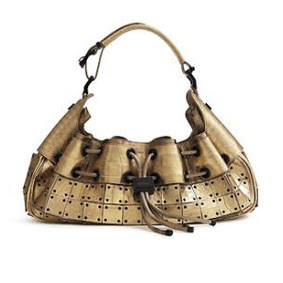 This has got to be one fo the uglist bags i've seen in a while, it sort of looks like someone has designed this Versace Icon tote by drawing a front view picture only. Do you think they could have rammed any more bling or wierd ugly shapes into one front face of an innocent tote bag? 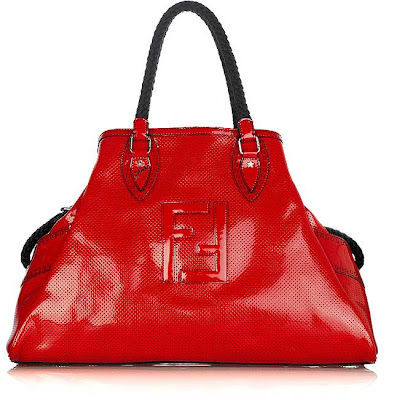 This is a red hot version of fendi's bag de jour and yes, it certainly is! i love the mini perforations on the shiny leather body. It has a retro look about it whilst still being modern and hot hot hot. 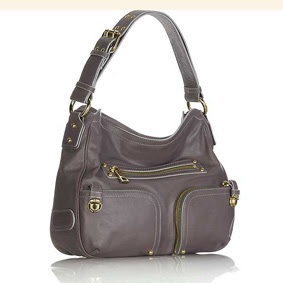 Personally i couldn't carry off this bag, i think it needs a hyena model type to really do it justice. 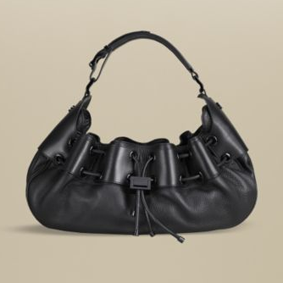 Also it could be one of those bags that look better on a shelf of a posh boutique than slung over a shoulder with jeans, but lets see, i'm looking out for one in action walking around london. 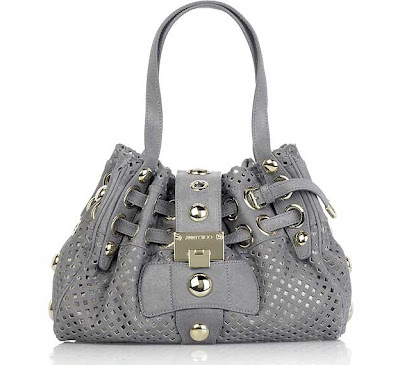 Jimmy Choo Riki Perforated Bag could be a bit of an 'it' bag for the season. I like the oversized perforations in the leather body material. It has taken on an incarnation of the oversized trend. 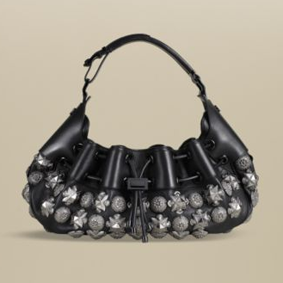 Burberry Warrior Bag - This season's IT bag? Would you pay £13,000 for this season's 'it' bag? So we're being told that this is this season's IT bag. 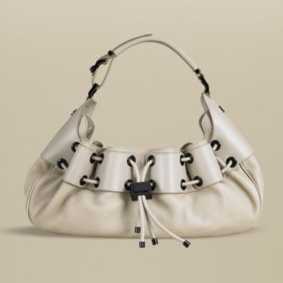 The Burberry Warrior bag. I think we should all go out and buy one with a price tag of £13,000 its definitely a sound investment! OK, its only the full aligator skin, if you are a cheapskate you can buy a more streamlined version made from humble lizard or python. I have to say that i prefer this version to the one with all the pirate's treasure stuck on. Here is the more simplified version in white which i don't think works quite so well with the dark coloured metal eyelets. I would have liked to see this with all white metal hardware to match. 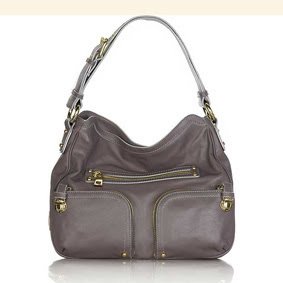 This Marc Jacobs Hobo bag is really clean and classic. Its the kind of bag that is going to be practical for everyday use and the quality looks superb. The clever pocket details give a signature Marc Jacobs twist. The integration of function (pockets) into fashion is a combination that Jacobs often gets right. The price tag is £630 so start saving. 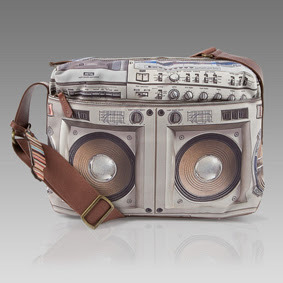 Paul Smith's printed Ghetto Blaster bag is an very literal execution of this fantastic idea. I've seen a few different takes but i like the high resolution of this one. 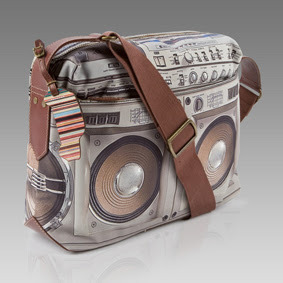 I also like that the bag has a soft construction which make the buttons and knobs warp with movement. Nice one Paul Smith. Now do something nice with your women's collections.